Early literacy skills are part of a larger set of skills, knowledge, and affective responses gained throughout childhood; however, emergent reading motivation has been neglected in research and practice. Theoretical models for reading motivation are available in the literature, but they were developed based on school-aged children and print-based reading experiences. The goal of the current study was to expand understanding of young preconventional readers’ motivations to read and identify the dimensions of emergent reading motivation in the digital age. This study employed qualitative research with a grounded theory methodology. Participants included 353 preschoolers from two large suburban and two sub-province areas in Turkey. A Constant comparison method was used to analyze the interview data. 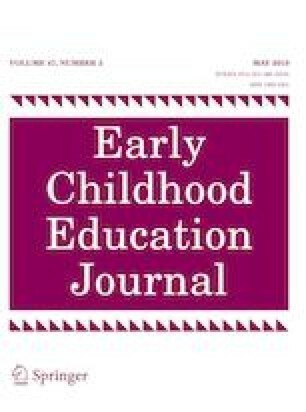 Ten motivational categories were detected (avoidance, challenge, competition, curiosity, enjoyment, employment-financial, learning, recognition, scholastic, and social), which were similar to the findings of previous studies conducted with school-aged children but included two additional categories (entertainment-play, and communication) specific to preconventional readers’ motivations to learn to read. An Emergent Reading Motivation Framework is proposed to organize and explain the dual associations between these categories. Young children’s self-evaluation of their current reading ability and their eagerness to learn reading were not differentiated regarding gender. However, reading motivation is a complex issue, and the framework is a preliminary one to elucidate preconventional readers’ multifaceted motivations to learn reading and provides comprehensive information of the constructs of motivation and the duality of relations between the constructs. Further studies will be needed to verify the tentative motivational framework. Chan, M. Y. H., Chu, S. K. W., Mok, S. W. S., & Tam, F. (2016). Fostering interest in reading and strengthening reading comprehension ability of primary school students using a children’s literature e-quiz bank on the cloud. In: Paper presented at the Quality Education Fund Project Seminar: The University of Hong Kong, Hong Kong, June 30, 2015. Retrieved from https://hub.hku.hk/bitstream/10722/235261/1/Content.pdf?accept=1. Accessed 30 June 2017. Confederation of Turkish Trade Unions (2018). Poverty line in Turkey. Retrieved from http://www.turkis.org.tr/Aclik-Yoksulluk-k91. Accessed 30 June 2017. Democratic Alliance for the Betterment and Progress of Hong Kong. (2018). Hong Kong reading habits summary of findings and recommendations. Retrieved from http://www.eng.dab.org.hk/dab-survey-on-hong-kong-reading-habits-summary-of-findings-recommendations/. Accessed 30 June 2017. Hernandez, D. J. (2011). Double jeopardy: How third-grade reading skills and poverty ınfluence high school graduation. Annie E. Casey Foundation. Retrieved from https://files.eric.ed.gov/fulltext/ED518818.pdf. International Reading Association. (2000). Excellent reading teachers: A position statement of the International Reading Association. Retrieved from https://www.literacyworldwide.org/docs/default-source/where-we-stand/excellent-reading-teachers-position-statement.pdf?sfvrsn=d44ea18e_6. Leong, D. J., & Bodrova, E. (2012). Assessing and scaffolding make-believe play. Young Children, 28–34. Retrieved from http://www.imagineeducation.com.au/files/CHCECE018022/1.pdf. McCormick, C., & Mason, J. M. (1984). Intervention procedures for increasing preschool children's interest in and knowledge about reading. Center for the Study of Reading Technical Report; no. 312. Retrieved from https://www.ideals.illinois.edu/bitstream/handle/2142/18043/ctrstreadtechrepv01984i00312_opt.pdf?sequence=1. Ministry of Labor, Social Services, and Family. (2018). Annual income statistics. Retrieved from https://www.ailevecalisma.gov.tr/istatistikler/calisma-hayati-istatistikleri/resmi-istatistik-programi/calismahayati-istatistikleri-kitabi/. Ministry of National Education [MONE]. (2013). Preschool education program. Retrieved from https://kres.dsi. gov.tr/docs/default-document-library/ooproram.pdf?sfvrsn = 2. Ministry of National Education [MONE]. (2018a). 2023 education vision. Retrieved from http://2023vizyonu.meb.gov.tr/doc/2023_EGITIM_VIZYONU.pdf. Ministry of National Education [MONE]. (2018b). National education statistics: Formal education 2017/2018. Retrieved from http://sgb.meb.gov.tr/meb_iys_dosyalar/2018_09/06123056_meb_istatistikleri_orgun_egitim_2017_2018.pdf. Ministry of National Education [MONE]. (2018c). Turkish language education program. Retrieved from http://mufredat.meb.gov.tr/ProgramDetay.aspx?PID=332. Programme for International Student Assessment (PISA). (2009). Assessment framework key competencies in reading, mathematics and science. Retrieved from https://www.oecd.org/pisa/pisaproducts/44455820.pdf. Programme for International Student Assessment (PISA). (2012). Pısa 2012 results: What students know and can do. Retrieved from https://www.oecd.org/pisa/keyfindings/pisa-2012-results.htm. Programme for International Student Assessment (PISA). (2015). PISA results in focus. Retrived from https://www.oecd.org/pisa/pisa-2015-results-in-focus.pdf. Progress in International Reading Literacy Study (PIRLS). (2001). PIRLS 2001 International Report. Retrieved from https://timss.bc.edu/pirls2001i/pdf/p1_ir_book.pdf. Roy Morgan Research (2014). Reading between the lines: Books and digital not so incompatible. Retrieved from http://www.roymorgan.com/findings/5692-books-digital-not-so-incompatible-201407210009. Sefton-Green, J., Marsh, J., Erstad, O., & Flewitt, R. (2016). Establishing a research agenda for the digital literacy practices of young children. A White Paper for COST Action IS1410. Retrieved from http://www.lse.ac. uk/media-and-communications/assets/documents/research/projects/p4df/COST-2016.pdf. Statista (2018). Reading habits in the U.S. Retrieved from https://www.statista.com/statistics/622525/time-reading-us/. Vinterek, M., Winberg, M. T., Tegmark, M., Alatalo, T., & Liberg, C. (2018). Amount of text read at school and the motivation for reading: A large scale study in grade 6 and 9. In European conference on educational research, Bolzano, Italy, September 4–7, 2018. Retrieved from http://www.diva-portal.org/smash/get/diva2:1254213/FULLTEXT01.pdf. Wigfield, A., & Guthrie, J. T. (1995). Dimensions of children’s motivations for reading: An initial study (Research Rep. No. 34). Athens, GA: National Reading Research Center. Retrieved from https://files.eric.ed. gov/fulltext/ED384010.pdf.